This stylish contemporary window is a pleasant addition to any room. Similar to the Centre-Pivot range the windows are treated with insecticide and fungicide but before being lacquered they are coated in a gleaming white acrylic paint. For those who enjoy that something different in their roof these white pine are a popular alternative from the conventional plain pine frames. 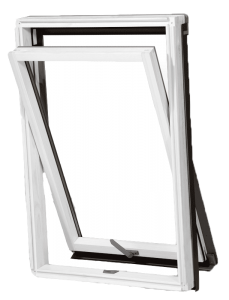 Like all other Duratech windows all frames have knot free visible surfaces and a 10 year guarantee. 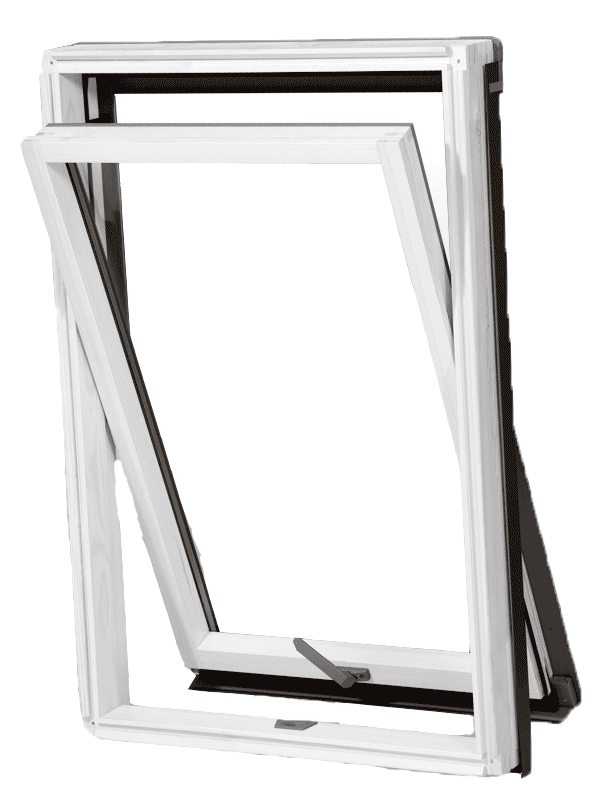 The zinc handle allows passive ventilation via two locking positions. Applicable any roof pitch between 15Â° – 90Â° and has a toughened outer pane. All pine used in Duratech windows is sourced from PEFC certified forests.